I suppose if you anything right you will make money, but after February’s open season on Kindle sellers there are some things that you really need to know if you want to sell on Kindle. Firstly that it is really easy to do AND to make money doing it…. But, why is there always a but? Amazon is very strict about what they will accept as content so it is important to get your Kindle books complying with the Amazon Terms of Service. It is easy to fall foul of this and have books removed or your account terminated, this happened to thousands of Kindle sellers last month. The problem duplicate content; too many people uploading the same content. How has this happened? Well how many e-mails have you had in recent months with some “Guru” selling gigabytes of PLR materials that you can use to compile your own books? Buyers were just uploading compilations of the PLR articles. Result massive amounts of the same content and a very poor customer experience. The other problem was content that was freely available on the web being sold on Kindle. Amazon don’t like that, result take a sledge hammer to the problem. There is a better way, the way I use to make 800+ sales a month through Kindle. Revised, expanded and improved “The Kindle Cash Machine” Version 2! Bang up to date; simply copy my plan to a profitable Kindle business that pays you on the dot every single month. Learn why Format 8 and the Kindle Fire open up a whole new set of possibilities for making money. Included is my Kindle template the one I use for my own books, plus “The Amazon Cash Machine”. 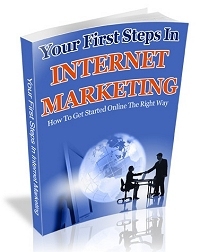 Make money promoting similar Kindle books or any Amazon product for that matter. I show you how you can do this absolutely FREE. Check it out this HERE this is as up to date as it gets. And also drop by to Barry Wells video challenge for some more great information. The new book looks really interesting Rob, especially the format 8 information. I think a lot of major companies are clamping down on ‘get rich quick’ schemes that have simply been thrown together and are duplicated in ridiculous proportions. It’s good to read how a little more effort can produce great results! the days of sticking any rubbish on Amazon are long gone, it makes for a better buying experience but it means doing some work and thats not popular, too many people want a quick fix. I didnot know that how much we could earn by kindle.Thanks for giving us information. 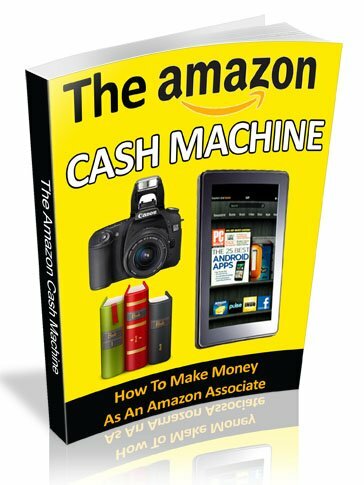 If we know how to utilize kindle cash machine then definitely we could earn good money but all we need is to give our time and effort in right direction. like every thing you have to be commited to making it work otherwise it will be pointlees. Interesting article Rob – as someone who’s recently published to Kindle, I’m pleased that Amazon are protecting the customer experience this way. If the store gets flooded with junk content, it’s really no good for any of us is it! thanks for dropping by it’s always good to here the comments of other Kindle publishers.